Peace Islands Institute comes to the UN – February 7, 2014 – to Discuss PEACE AND SUSTAINABLE DEVELOPMENT: A TWO-WAY RELATIONSHIP. 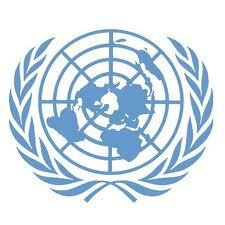 United Nations Open Working Group on Sustainable Development Goals. This event will feature a discussion by H.E. Carlos Enrique Garcia Gonzalez, Permanent Representative of El Salvador to the United Nations as well as professors from Columbia University and New York University. UN Pass is required to attend. To receive a UN Pass, please RSVP to rsvp@peaceislands.org by no later than Thursday, January 30th. Shortly after the fall of the Berlin wall the then UN Secretary General, Boutros Boutros Galil, drew the attention to the need for a new paradigm in international policy making: there is no peace without development and there is no development without peace. It may sound as a truism. However, it had been ignored during the Cold War between East and West as well as during many years of lukewarm peace between North and South in the aftermath of decolonisation. sector was advocated, parallel to orderly international market operations, in particular in energy, food, trade in general as well as in finance. This was complemented by the statement that there was a need for world institutional reforms. Would all this be possible? Yes, as Willy Brandt said in the preface to the report: ‘One should not give up the hope that problems created by men can also be solved by men’. This programme has not been implemented. Why not? Maybe the minds were not yet ripe. The confrontation between East West during the Cold War did not create a climate in favour of global cooperation. There was not yet a feeling of global communality. There was a second reason as well. The world economic recession of the second half of the seventies and the eighties was not conducive to new approaches. Instead countries followed a pattern of adjustment to what was felt as the economic reality. This adjustment took place through expenditure cuts, rather than investments resulting in growth and development. This led to an economic philosophy consisting of elements which were not in accordance with those proposed by the Brandt Commission: market liberalisation, deregulation, a smaller public sector and more reliance on unbridled market mechanisms. In the second half of the eighties and in the nineties the world has changed drastically. There was the end of the Cold War, followed by a new phase of globalisation. The new chances for world peace after the Cold War were a big boost to world economic growth, benefiting both the US, the countries of the former Soviet Union as well the countries in Eastern and Western Europe. The economies of these countries were benefiting from a fast and intense globalisation following the opening of national borders. There was a new mutuality of peace and economic progress. Could it be extended towards developing countries as well? News from Cuba. Las Damas de Blanco march along Quinta Avenida and shout “Freedom Freedom! – That came from the Soul,” and nothing happened. There has been a flurry of news in Cuba. First came the Cuban government’s decision to release 52 political prisoners over the next three months. 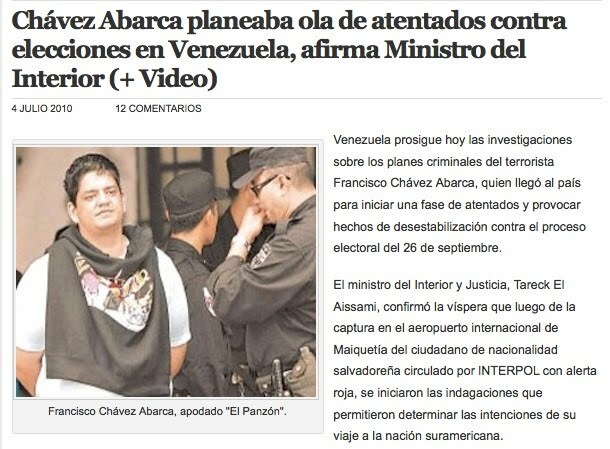 Then came the extradition of Francisco Chavez Abarca, a Salvadoran accused of carrying out violent attacks against Cuba. 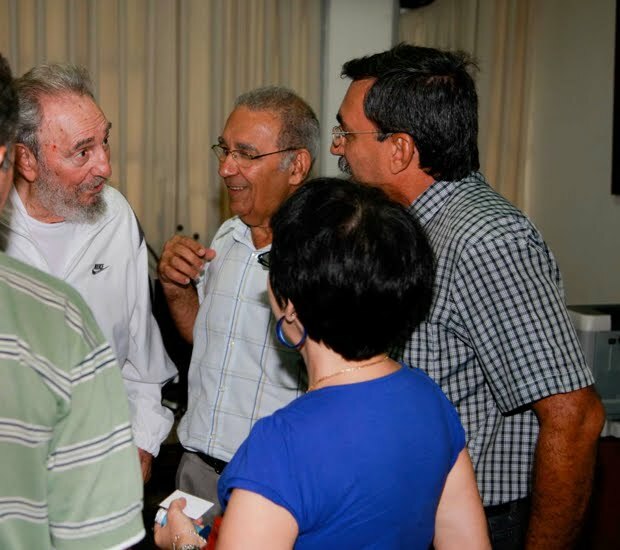 More news came today when Fidel Castro’s photographer son Alex posted photos showing the former Cuban president visiting a research center in Havana. Alex Castro shot the pictures last week at the National Center for Scientific Investigation in Havana. 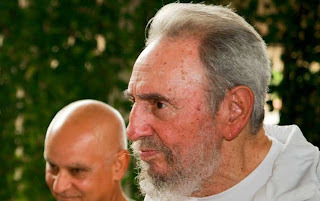 One news report said Castro used a cell phone camera to take the pictures; I haven’t confirmed that. News of Fidel Castro’s rare public appearance comes days after the Cuban government said it would free 52 prisoners held since a government crackdown on dissidents in March 2003. Guillermo Fariñas announced he’d end his 134-day hunger strike after Cuban authorities announced the release. Fariñas is a dissident and independent journalist in the central town of Santa Clara. He began his protest after dissident Orlando Zapata Tamayo died in February after an 86-day hunger strike. The Malecón is the famed avenue stretching for more than four miles along Havana’s seawall. People go there every day: Blacks, whites and mulattoes – people of every hue. Young and old, they all go, die-hard revolutionaries and those who are fed up with the revolution. They take in the ocean air, dance and look for romance. They sip rum and stare at the water. More than a dozen reporters and photographers showed up to cover the Damas’ march on Sunday. The women marched without any interference. A passing motorist yelled something like, “Those people aren’t news.” Another shouted, “Mariconas,” which means lesbians. 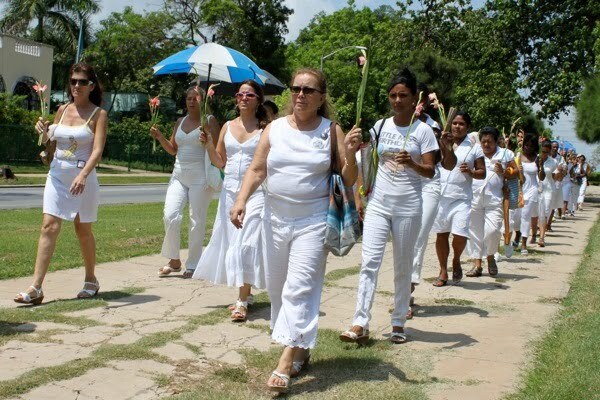 The Damas kneeled in front of Santa Rita Church and prayed after finishing their march, then they chanted “Freedom! Freedom!” A few minutes later as they gathered at a nearby park and some of them repeated the chant. A man who was shooting video missed that shot and asked the Damas to repeat it. One prominent member of the group refused, saying that these chants “come from the soul” and aren’t meant to be repeated just because someone asks. The cameraman asked if, well, the Damas could please be inspired again to feel it “from the soul.” More than a half dozen of the women complied, chanting “Freedom! Freedom!” once again, then told the cameraman that they hoped he was satisfied. The Latin American Indigenous Forum on Climate Change concluded in Costa Rica that market mechanisms involving Transnational Corporations passing money to the Governments end up victimizing Native People of the land. 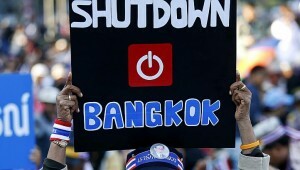 The request to make the mechanism measurable does not make for long term strategy either. CLIMATE CHANGE: Native Peoples Reject Market Mechanisms. SAN JOSÉ, Apr 1, 2010 (IPS) – Solutions to global warming based on the logic of the market are a threat to the rights and way of life of indigenous peoples, the Latin American Indigenous Forum on Climate Change concluded this week in Costa Rica. Proposals from governments and international non-governmental organisations (NGOs), such as the Clean Development Mechanism and the UN-REDD Programme (United Nations Collaborative Programme on Reducing Emissions from Deforestation and Forest Degradation in Developing Countries), “are new forms of economic geopolitics” that endanger indigenous rights enshrined in treaties, says the final declaration of the forum, which ended Wednesday. Indigenous people and their organisations are putting forward holistic solutions that respect the rights of human beings and of Mother Earth, and that are not limited to Western scientific knowledge but include traditional wisdom, indigenous practices and innovations that have contributed to efforts to preserve ecosystems and biodiversity, the Forum declaration says. There are some 400 different native groups in Latin America, totaling about 45 million people. “We discussed indigenous peoples’ strategies and positions with respect to climate change,” the general coordinator of the Guatemala-based Sotz’il – Centre for Maya Research and Development, Ramiro Batzin, told IPS. Governments talk to each other without taking civil society into account, but indigenous people must be listened to, because they are the most affected by global warming, he said. Climate change is due to “a model of development that has forced indigenous people into extreme poverty,” he said. The worst harm they are suffering is lack of food, because of drought and floods, and the loss of their cultural identity. The UN-REDD Programme provides for rich countries to pay for maintaining tropical forests in the developing world, in compensation for their carbon dioxide emissions, the main greenhouse gas responsible for global warming. The native peoples say that the great majority of places being proposed by governments and some NGOs to participate in the REDD programme are located in indigenous territories. This shows that these territories are well preserved, but it is urgent to defend guarantees contained in the United Nations Declaration on the Rights of Indigenous Peoples, particularly territorial rights and the right to self-determination and free, prior and informed consent, the forum declaration says. “States do not want to acknowledge this; their approach is based purely on the bottom line,” said Batzin. People here pinned their hopes on the World People’s Conference on Climate Change and the Rights of Mother Earth, to be hosted this month by the Bolivian government. The meeting is conceived as an alternative approach to the solutions explored to date by the international community. Official climate negotiations will be resumed at the next United Nations conference in Mexico in November, after the failure of the Copenhagen meeting last December. “The failure was to expect an outcome from such a meeting. In the midst of an economic crisis, industrialised countries do not want to sacrifice production,” Pascal Girot, Mesoamerica and Caribbean coordinator for the International Union for Conservation of Nature (IUCN), told IPS. Costa Rica, for instance, is planning to be a carbon neutral country by 2021, and to sell greenhouse gas emissions mitigation mechanisms to industrialised countries. “It’s a licence to pollute. It may be a solution for Costa Rica, taking a very utilitarian view. But it’s the principle that the polluter pays, and that is all we have at the moment,” said Girot. Mechanisms like the REDD programme must guarantee the long term survival of the world’s large forests. But to achieve that in Central America is very difficult, because of the pressures on forested areas, and because “investors want guarantees that the mechanisms will be measurable,” Girot said. THE INTER-PARLIAMENTARY UNION, a base for creating the United Democracies, On Climate Change, The Middle East, Meetings on the Security In Southern Africa, Central America, Talking to WTO in Geneva. THE INTER-PARLIAMENTARY UNION a base for creating the United Democracies. The President of the United Nations General Assembly convened a high-level thematic debate on climate change on 11-12 February 2008, with the aim of building political momentum towards effective action in this crucial area. The Inter-Parliamentary Union, based on its own work in this field over the past year â€“ particularly in follow-up to the 116th IPU Assembly in Bali – joined the discussion and highlighted its efforts to reinforce climate change policy and legislation with a view to achieving the ultimate objectives of the United Nations Framework Convention on Climate Change and the Kyoto Protocol. National parliaments have reported back to the IPU on their own initiatives in implementing the Bali parliamentary declaration on climate change. The parliament of Chile, for example, has started to look at ways to make the national budget more environment-friendly. The German Bundestag Committee on the Environment, Nature Conservation and Nuclear Safety has recently debated several motions on proposed climate protection measures tabled by the parliamentary groups. The Bundestag also sets an example for climate protection and energy efficiency in the operation of its own buildings. In Israel, the Knesset Committee for Internal Affairs and the Environment is currently preparing the second and third readings of the Clean Air Bill. A recent session of the Japanese Diet has seen the enactment of a law relating to the promotion of government contracts that pay due consideration to environmental concerns, assessing the environmental load of each project rather than simply looking at price competitiveness. In the UK, the parliamentary Joint Committee on the Draft Climate Change Bill, which aims to reduce the net UK carbon account by at least 60 per cent from the 1990 baseline by the year 2050, expressed its concerns recently about the legal enforceability of the targets and budgets, and proposed a system of annual milestones and a compliance mechanism to create a strong legal framework. In Belarus, the parliament is currently debating two bills designed to mitigate climate change, one to amend the environmental protection law on compensation for environmental damage, and the other concerning a draft code on earth resources. Many other examples can be quoted in this regard. On 5 March, IPU was also invited to attend a parliamentary event hosted by the United States Congress, in the context of the Washington International Conference on Renewable Energy. Several legislators joined their national delegations to this important event, and shared views and experiences on good policies and practices to expand the use of clean and renewable energy solutions. Following a brief but productive exchange among legislators, it was agreed that there was scope for further work by the IPU and national parliaments in this important area. President Casini went on an official mission to the Middle East at the end of January, when a freak snowstorm brought much of the region to a standstill. On January 28, one day after the 63rd anniversary of the liberation of the Auschwitz-Birkenau concentration camp, he delivered a speech in the Knesset to mark International Holocaust Remembrance Day. During his stay in Jerusalem, he held talks with the Speaker of the Knesset, Ms. Dalia Itzik, and leaders of the political factions, before meeting President Perez, Prime Minister Olmert and Foreign Minister Livni. The talks centered on the political situation in the region and prospects for peace, the crisis in Gaza, and codes and standards for parliamentary elections. The mission also raised the question of the PLC parliamentarians who were detained in Israeli jails. Wishing to gain first-hand information about the difficulties facing the Palestinian Legislative Council (PLC), Mr. Casini travelled to the PLC headquarters in Ramallah, where he held a lively exchange of views with a group of parliamentarians, focusing on the representation of Palestine in the IPU. 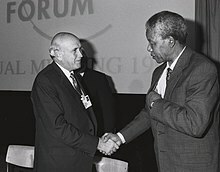 Later in the day he met with Prime Minister Salam Fayyad. The IPU Secretary General joined the President during his visit to Jerusalem and Ramallah after making a stop in Amman, where he met with the Speaker and other members of the Palestinian National Council for discussions about their membership status at the IPU. He also held several meetings in Ramallah with the PLC members and the Secretary General of the parliament.